Stephen Bartholomew Photography | Dear Diary 12th September - “But Someone Has To Do It Tour”. It was never going to be easy. Dear Diary 12th September - “But Someone Has To Do It Tour”. 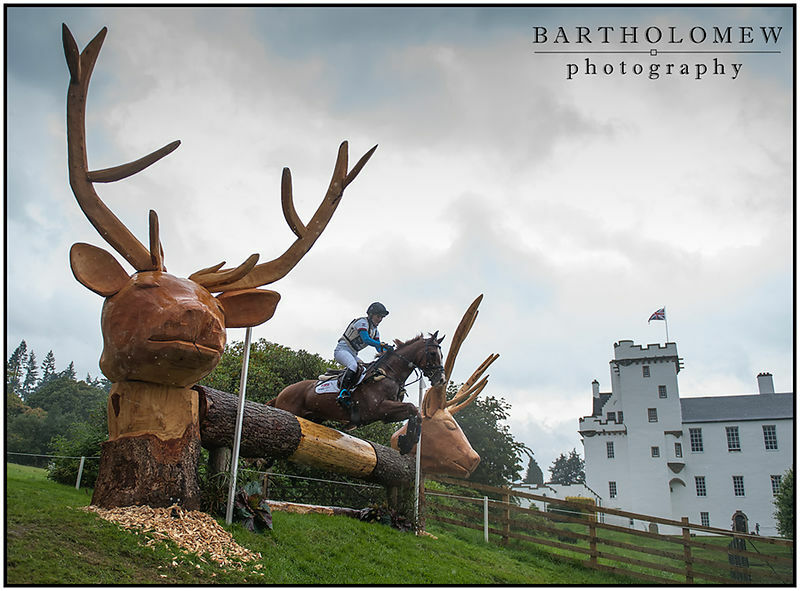 Burghley to Blair, my daily diary of two weeks of top end equestrian sport from behind the lens. It was never going to be easy. The weather forecast today was sadly very accurate. It almost seemed that the Rain Gods had decided in order to make things fair for everybody it should tip it down for the entire duration of the cross country phase plus a bit either end to “just make sure”. You will find detailed reports on today’s events in blogs and the official website - but in summary the German Team are in the lead and the Brits are winning the competition that everybody else is in. So dominant are the German Team their throw away rider score is 8th overall and the other three are 1st, 2nd and 6th. I have no idea how the riders and the horses cope with the rain, mud, wind, flappy ponchos, umberellas and the occasional loose dog. I know I didn’t cope with them at all well. On another note - having covered two big events in the past week - I have been astonished how many people are using cameras with automatic flash settings and taking pictures of the riders whilst in competition. I have used flashes around horses on occasions without a problem, but I have always known the horse and made sure they were settled - I think it is a very risky proposition to use one at a 4 Star or European Championship with so much at stake for the riders. So a plea - If you take pictures of the riders in competition please figure out how to turn the flash off. As far as my day went it was hard work in the rain and I hope the cameras and waterproofs dry out for Sunday. I understand it is more of the same. Picture : Stag Heads and Blair Castle with wet camera and rain on lens.